Jeopardy! World Bipolar Day! Ketamine! Frogpocalypse Now! Frankie Laine! Tom Lehrer! Today is Thursday, March 30, the 89th day of 2017 in the Gregorian calendar, with 276 days remaining. 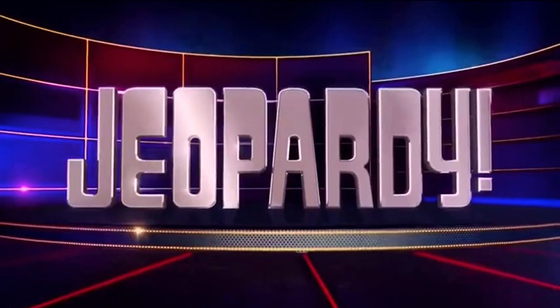 On this date in 1964, The TV game show "Jeopardy!" premiered on NBC. Its original incarnation on network television ran until January 3, 1975. The current version, a daily syndicated show produced by Sony Pictures Television, premiered on September 10, 1984, and is still airing, making it by far the program's most successful incarnation. Among other things, today is also World Bipolar Day..
Frogpocalypse Now. In South Florida, cane toads are so numerous that they seem to be dropping from the sky. They're overtaking parking lots and backyards, can weigh almost six pounds, and pack enough poison to kill pets. Today is also the birthday of Frankie Laine (1913-2007), an American singer, songwriter, and actor whose career spanned 75 years. He sang well-known theme songs for many movie Western soundtracks, including 3:10 To Yuma, Gunfight at the O.K. Corral, and Blazing Saddles, although he was not a country & western singer. Laine performed at three Academy Awards ceremonies: 1950 (Mule Train), 1960 (The Hanging Tree), and 1975 (Blazing Saddles). "The most challenging part of being a dad is trying to postpone the moment when they realize you don't know anything." The Universe is a beer bottle left in the freezer too long. Why do so many Republicans believe Trump's wiretap claims? Donald Trump and the myth of the coal revival. Even Robert Murray, the C.E.O. of Murray Energy, the country's largest private coal company, recently said that coal jobs weren't going to come back in the multitudes that Trump has promised. One economist, who co-authored a study of Obama's Clean Power Plan in 2014— a study paid for by the fossil-fuel sector- said, "I think it’s a load of crap that this will do anything for the coal industry." one prominent CEO predicts that within the next decade, more work in fast food restaurants will be taken over by robots.